I am obsessed with this dish! I need this to be made at least once a week for the foreseeable future. I can finish this in two days by myself, so that's totally do-able. I mean, in theory I could finish it in two days. I wouldn't know that firsthand or anything. Totally wouldn't. There's something about baking with pecans that really let me knowthe holidays are here. It's probably because I associate pecan pie with Thanksgiving. Pecan pie is my favorite ever! 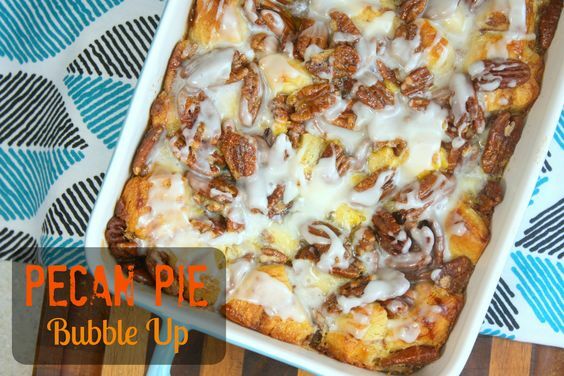 So when I saw this recipe, I gasped and knew I had to make it. In case you missed my previous bubble up recipes (bubble up enchiladas or bubble up pizza) I'll just let you know that I love these types of recipes. Not only are they quick but they're also easy and delicious. I like that they're able to be customized so that you can please most, if not all, of your family members. This is perfect for a quick weeknight meal, or for making sure that you can sleep in on the weekends for another 30 minutes. Again, this is not from personal knowledge. I'm just sayin'. This pecan pie bubble up did not disappoint and it will definitely join the others in the "Win" category. The pecans were mixed with corn syrup and cinnamon buns and I was in heaven. I recommend bringing this to any event between now and Christmas if you want to be the star. Heck, I even promote bringing this over in the New Year because really, who's gonna stop you? You are the boss of you. I have a question. Is it OK to inhale one (maybe two, but who's counting?) 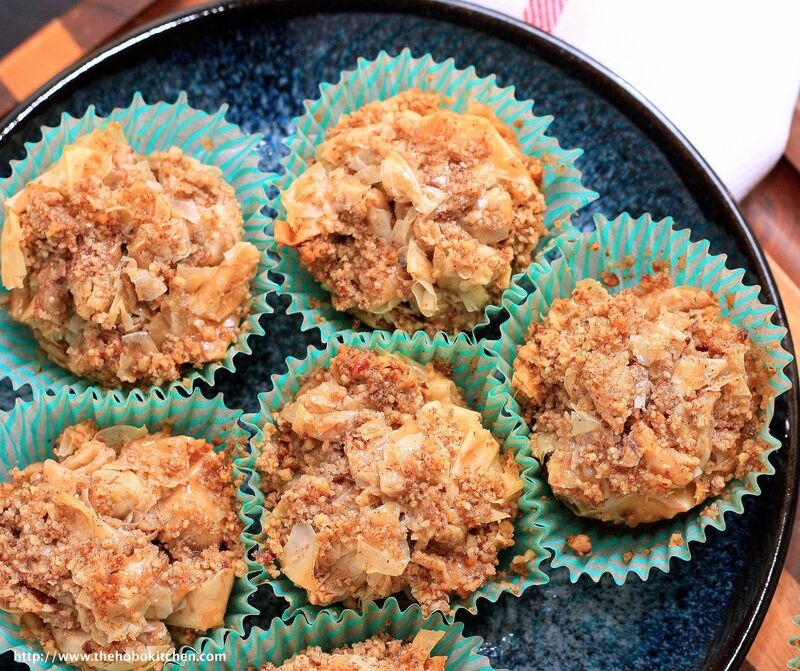 of these baklava cups while standing in the kitchen? In case that doesn't alert you to exactly how awesome these baklava cups were....let me just state it. These are freaking awesome! I don't think I've specifically stated it before, even though I've have hinted at it. Over the past year or two, I've mostly stopped making food for this blog that takes an extraordinary amount of time. You'll find that just about everything I make nowadays should take an hour or two and then you're "released" from kitchen duties! At least that's my intention. The other day I burned the caramel I was making twice, then ran out of ingredients and had to go grocery shopping. So that didn't exactly work out, but the intention was there! Unfortunately, this is also the reason why I don't make cupcakes anymore. I love them, but they tend to require a lot of hand-holding and patience. I don't have time for that any longer, so they've been cut from the rotation. Anyway, suffice it to say that I was super excited to find this easy baklava recipe and even more so excited to find out that it wouldn't take me half a day to create. Yes!!! I'm all about it. I would definitely recommend trying these out. They are fast and super tasty and potentially addictive. Don't say I didn't warn you! I have to tell you about this pastry. I'm pretty sure it's a crime to keep them all to myself. In fact, in trying to not eat the entire pan, I took this danish to my friend's Labor Day pool party. And now commences my most embarrassing food moment of the month. (OK, really, there are more embarrassing moments because last night I had 2 1/2 meals for dinner since I was extra hungry. So there's that. But I don't want to talk about it.) Let's talk about how myself and 2 of my friends were chit chatting and waiting for another 2 girls to join us. Absent-mindedly, or not-so-absent-mindedly, we picked up forks and started diving into this pastry. It wasn't pretty. And then when we realized it was just about gone, we came back to our senses and saved a tiny sliver because come on, we're civilized and friends leave food for friends. Hopefully this danish will not make you act the way we did. I feel as if there was some sort of mob mentality that just encompassed the 3 of us and lo and behold, most of the food was gone. I just can't help it when it comes to lemon-flavored pastries. They always get me. And to top if off, lemon curd and cream cheese were stuffed into flaky dough and icing was drizzled on top. Dead. It's officially over. 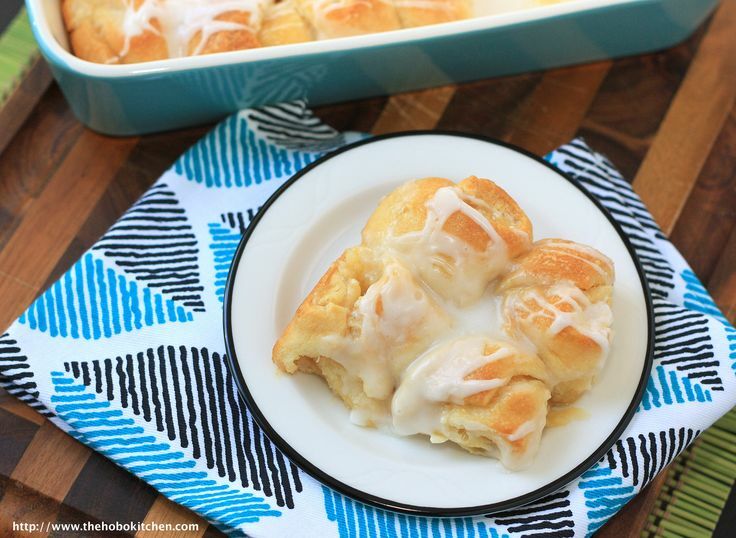 So while I sit here and daydream about these pastries, you should actually make them. I can't, clearly, because there is no such thing as "self-control" when I am around them. My plans have been destroyed. I had excellent intentions of getting back on track with eating healthy(ish!) food after Thanksgiving. Then I just let myself eat what I wanted the Friday after Thanksgiving because what the heck, we're still living like kings right? There's gotta be something to celebrate. And then Saturday led to me stuffing my face with Mexican food. Then the bar food came on Sunday while I was watching the game, and now THIS. This Nutella bread pudding miraculously appeared in my kitchen later that night. I told myself that I was going to give it away (I did manage to give about 1/4 of it away!) but somehow the rest of it kept ending up on a plate and then in my mouth. These are tragic times, folks. I made this bread pudding for this month's Secret Recipe Club. I was honored to be paired up with Camilla from Culinary Adventures with Camilla. I love her recipes because they're simple and easy and most definitely tasty! 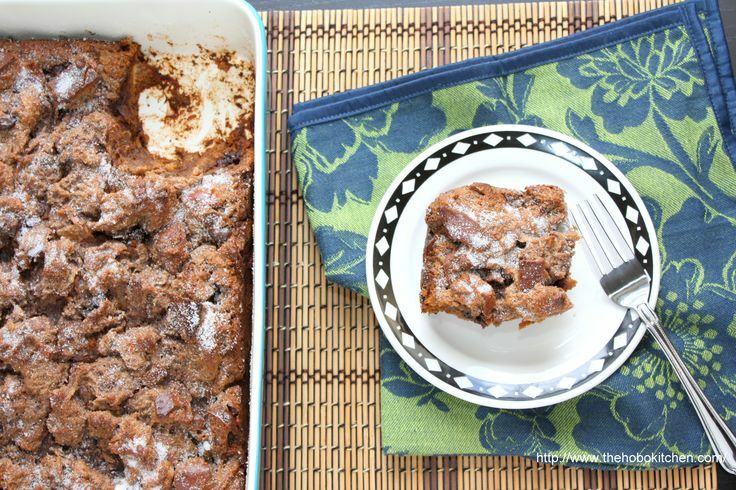 I went through a few recipes before I landed on THE ONE: Nutella Bread Pudding. OMG Yes!! Camilla's son Riley actually found the recipe for this bread pudding. What a smart kid! He knows exactly what we all should be eating...and it involves Nutella and carbs. Don't sit down and let this recipe pass you by this holiday. It's great for giving as a gift, bringing to a Christmas dinner, or just standing over your stove and eating it as a snack out of the pan. But you know I would never do that, right? I'm classy. I'm brunching it up once again. Today, I'm spending some quality time with the Women Who Brunch crew. As you are reading this, it's quite likely that I'm getting pointers from Molly Ford on how to brand, grow, write and network for this here blog...all while sipping on a bellini. Why yes, I think I can handle that. Is it poor form to bring croissants with me? I mean, these are pretty good so maybe that negates any potential social faux pas. I'm going to go with that. On the other hand, I cooooould just keep them and eat them all myself. I kinda like that idea too. 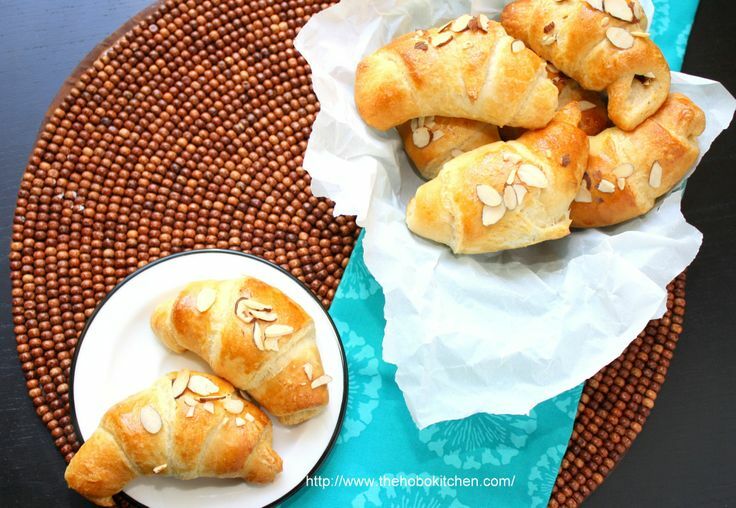 Flaky croissant pastries paired with chocolate and almonds never get old. Oh, and I made these the easy way. As in, I didn't make my own dough because I'm too cool for school (aka I can't focus long enough to do it). I popped open a package of refrigerated dough and I was on my way. Is there anything wrong with having freshly made chocolate almond croissants at your potentially-severely-burned-from-making-too-much-baked-bacon fingertips within minutes?